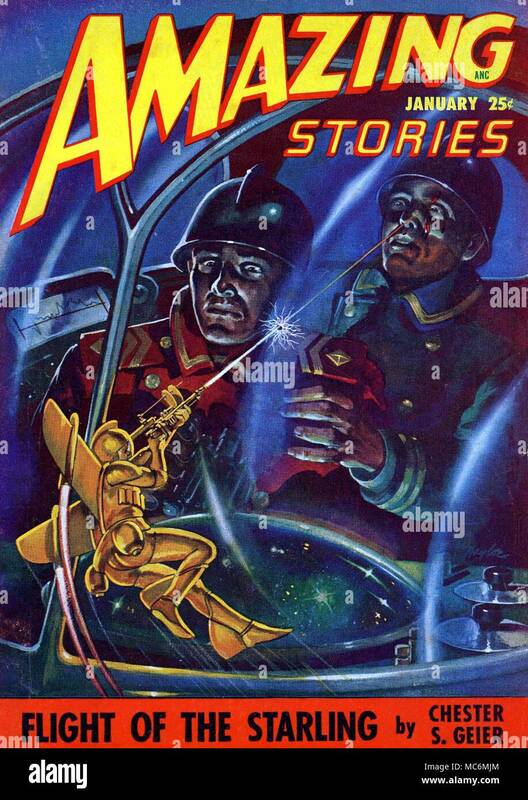 SPACE-MEN - FANTASY Cover artwork by Raymond Naylor for Amazing Stories, Vol. 22, No. 1, January 1948. The picture is intended to illustrate Chester Geier's story, Flight of the Starlings. Rocket propelled space-man shoots at giant soldiers in space-craft dome.